Was known in the West-Ukrainian periodicals as a critic, art expert, author of wonderful water-colour sketches (“Sunflowers”, “Irises”, “Begonia”, “Annamit Shawl”, “Peacock Eye”, “White Irises”, “Prisoners”, “Fragments”, “Impressionistic”). 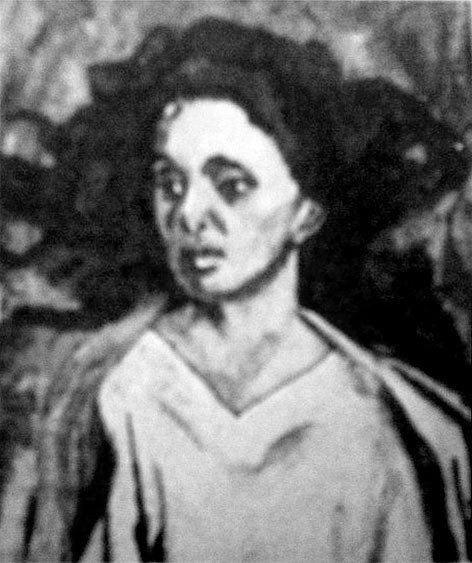 She is also known as an author of the collection of sketches “Paradise Apple-Tree” (1931), monograph about James Jones (1934), essay volume “For the State Bronze” (1938). The writer’s attraction to lyrization of prose is noticeably influenced by the creative work of O.Kobylianska, the feminism of writing is especially seen in cultivation of the melancholic beauty, sentimental observance, sensibility, features of secession style.